I made you gluten free pumpkin pie pop tarts. Yes you read that title right. While I was at Target the other day, I happened to notice a box of Pumpkin Pie Pop Tarts. You can see the very long list of ingredients here. That gave me an idea to create my own gluten free pop tart recipe. 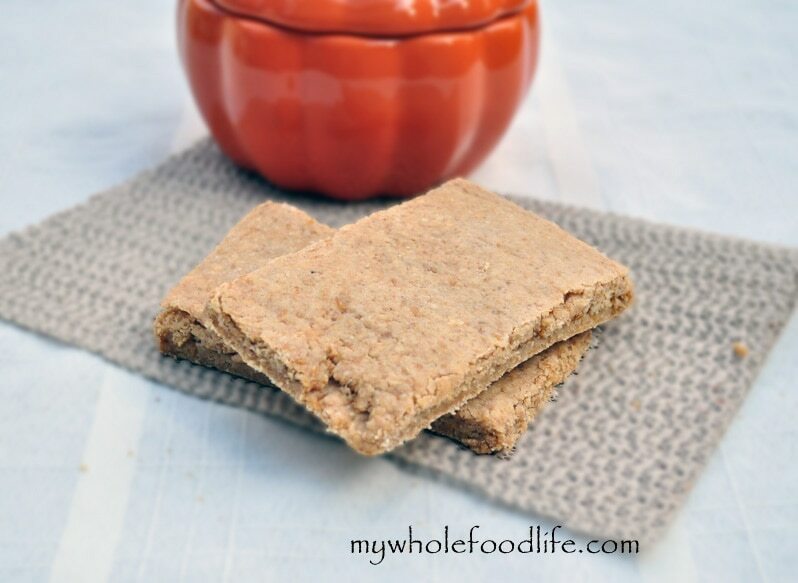 My gluten free pop tart recipe is healthier than that boxed version. I filled these with a pumpkin pie filling, but you can really fill them with whatever you like. I used the base recipe for my Homemade Pop Tarts and just changed a few things around. These came out 10 times better than my original pop tart recipe. These would be great with a glass of almond milk. In a small bowl , mix up the filling and set aside. In another bowl , add all the dry ingredients for the dough. In a mixing bowl , add the wet ingredients and mix. Slowly add the dry ingredients to the wet, while mixing. If the mixture looks slightly dry, add a little more milk. Once the dough has formed, gather it into a ball and wrap it in plastic. It will be sticky. Store it in the fridge for 25-30 minutes. Once the dough is firm, pull it out and cut it in half. Line your counter with parchment paper the size of your baking sheet . Take one half of the dough and place it on the parchment paper. Put the plastic wrap between the dough and the rolling pin, and roll it out to a 1/4 inch thickness. Spread the filling on top. Then roll out the other half of the dough the same way as the first. Once it’s rolled out, carefully place it on top of the other half of the dough. Very carefully, peel the parchment paper off. Transfer the whole thing to your baking sheet . Cut the dough into squares using a pizza cutter . I got 6-7 out of my batch. I cut them larger. They should last a few weeks if kept in the fridge. Enjoy! I'm curious as to why you used flax instead of eggs? And how can I make an egg substitute out of flax meal? Thanks so much! I think these are the answer to my prayers! I made these with strawberry jelly and cut them into "granola bars". It made about 12 that way. I used 1/4 cup maple syrup, omitted the milk and cut the applesauce back a tad. I had to add a little extra oat flour to get it firm enough but they came out perfect and delicious! It tasted just like a strawberry poptart to me, although it's been probably 10 years since I've had one! Thanks for the great recipe! You are so welcome Sarah! Good idea to make them into bars!